Yes...Matt is back from a short hiatus. Traveling the world slowed down his review pace, but you'll have to suffer with his insufferable opinions at a much more frequent rate in the future. Besides Man Vs. Wild and Biggest Loser, reality TV shows are the pits. My only exposure to reality TV is from The Soup with Joel Mchale, and even in these small doses it is too much. I consider it a badge of honor that I have never seen an episode of Survivor, Dancing with the Stars, or Celebrity Fit Club. BUT...before I get all high and mighty on my anti-reality soapbox, I have to admit that I have a dirty little secret---I am hooked on home improvement reality shows. I don't watch for tips on bathroom light fixtures or tile-laying instructions--I have This Old House for that. I watch these shows for the same satisfaction that I get while watching nut shots or people falling off stages on America's funniest home videos. Yes...I enjoy watching bad things happen to people on these shows. Here are a few of my favorite situations on shows that make me giddy. When an unmarried couple buys a home together while paying well over market value. I sit back and imagine how nasty it will be in 2 years when they split, leaving one of the pair to try to make an unbelievable house payment while working at Starbucks. I like the shows where someone sells their house and realizes after 6 months on the market that they are 40% overpriced. "How is it possible that MY house is not worth what I think it is." The nastier the person selling their house...the more satisfaction I get. Couple interested in renovating anywhere in their house. Must not own more than 6 tools. Cannot identify a Philips Screwdriver. Must grossly underestimate the cost of everything they purchase. Must have a full-time job where you cannot spend much time on the project. Couples who argue a lot are a plus. The more white trash your lifestyle, the better. Loud and obnoxious applicants will be given priority. Any combination of crying, swearing, punching, or breaking things in times of stress a big positive. Find someone who fits these qualifications, roll cameras, and watch the mayhem ensue. This show is genius. People with no idea what they're doing start projects than almost always end up incomplete. Why do I find enjoyment and satisfaction watching other people struggle? Am I a masochist? Does my cynicism have no bounds? It's probably a little of the above, but also because I know their pain. While a little more adept at the people on this show, every time I start some sort of project, I run into problems. I usually swear, punch, throw things, and my wife cries. In fact...we would be great candidates for the show. I like the little "snide" comments on the show which they put in text blurbs...usually when something goes wrong. I would actually like more of this. Let's play up their mistakes. Kind of like pop-up home improvement on VH1. If you have any clue about DIY home improvement, you'll find humor in this show. Watching someone drywall for the first time, or miscalculate the rise/run while building new stairs is quite satisfying. You'll find yourself saying "What are they doing?" multiple times while watching. I give the show 5 hammer-time stars---especially as it's only 21 minutes long on Tivo. Potential for electrocution & gas explosion a plus. Live electrocution would be like watching faces of death...I'm all for it. 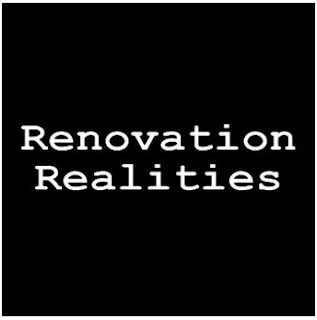 I have watched several episodes and and I loved the way they renovate houses. They have complete sets of equipment that made the process of DIY easier. They fixed the walls, the floors and rooms. They used some materials like sealants, lubricants and paints. I look forward to seeing more episodes. 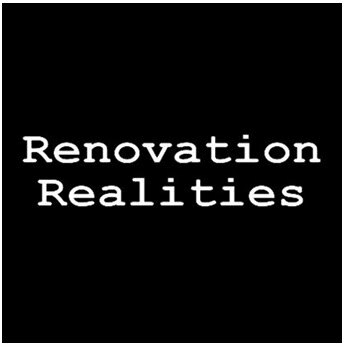 I want a reality without remodeling nightmares! Remodel nightmare? :( "very bad" as a review is an understatement. Horrible, Nightmarish, the worst online company next to a scam. Please heed this warning, do NOT order from shoprtacabinets.com. 7 weeks after my order was placed, I had to file a complaint with the BBB. Shipping is promised 2-4 weeks after order but is completely false. There is NO communication with this company. Shoprtacabinets.com would only accept E-checks so they had my money the day of the order. The customer service phone # has an auto response that they only answer emails. The online chat messages are NEVER responded to. Emails are ignored. Replies are only given after you submit multiple high priority tickets. 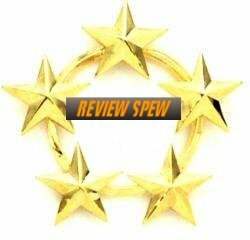 As of this review, I am still waiting for a refund or resolution with the BBB.